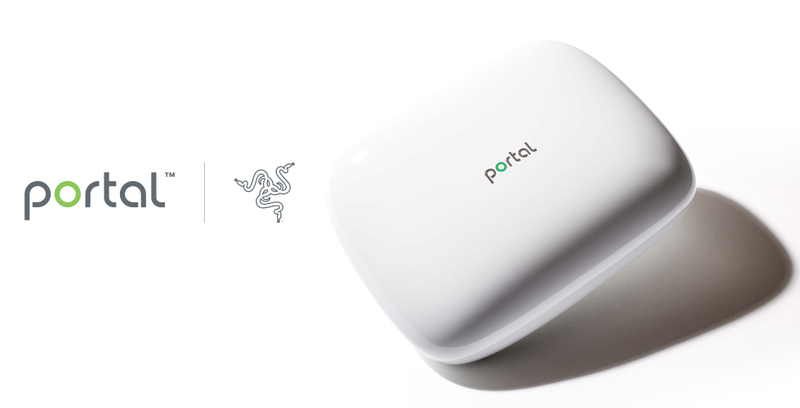 SAN FRANCISCO – Razer™, the leading global lifestyle brand for gamers, announced today a partnership with home networking partner Ignition Design Labs, creators of the award-winning Portal Wi-Fi router. The companies collaborated to optimize features and performance of the Portal router specifically for gaming. While evolving its ecosystem of hardware and software for gaming and entertainment, Razer identified device connectivity as a major area needing improvement. A sub-par router is often the cause of lag, screen tearing and buffering when enjoying live-streamed content,, three issues that commonly plague gamers. Mesh-capable Portal Wi-Fi routers help prevent these glitches. With key technologies, Portal successfully addresses the demands of high bandwidth gaming and streaming applications. Note: An earlier version of this Press Release stated: “A sub-par router is often the cause of lag, screen tearing and buffering, three issues that commonly plague gamers.” A clarifying edit has been made to this statement. Silicon Valley-based Ignition Design Labs is a veteran team of wireless networking engineers developing radically new and critically important technologies at the heart of the next generation Internet of Things. Founded in 2015, Ignition Design Labs is headquartered in San Jose, CA with a Design Center in Hsinchu, Taiwan. Statements in this release that are forward-looking, such as product features and capabilities, Wi-Fi router market growth, games market growth, ecosystem development, and projected progress and general success of the collaboration, involve known and unknown risks and uncertainties, which may cause actual results in future periods to be materially different from any future performance that may be suggested in this release. The parties to this press release assumes no obligation to update any forward-looking statements contained herein. Copyright 2017 Razer Inc. All rights reserved. Razer, the Razer logo, Ignition Design Labs, the Ignition Design Labs logo and all other product and services names and slogans and trademarks or registered trademarks are the property of their respective owners.